It is a must to have a memory card, like SanDisk Extreme Pro, for your professional camera. Without it, you can’t save the captured photos and videos. However, it is very likely that you’ll also encounter some problems while using the SanDisk memory card. Instead of looking for a SanDisk repair tool, SD card repair tool or SanDisk USB repair tool directly, I suggest you analyze the symptoms of your SanDisk memory SD card, USB drive, Pen drive, HDD, SSD and find the right solutions to problems. Here are some of the common symptoms and corresponding fix solutions, helping they’re helpful. Please check out if it is locked or unlocked on the left side. If it is locked, then you can't save any data to the SD card, even can't modify or delete the files in the SD card as well. If you get the message that tells you the SD card lock on your camera, then it will not let you delete or take pictures with the SanDisk memory card, even no data transferring as well. In this case, you need to remove the write protection on SanDisk memory card with CMD. On Windows PC, click the Windows startup button on the bottom left. Next, in the pop-up box, type in CMD and then press the Enter button. In the new window, type diskpart and press the Enter button. Type list disk and press Enter button. Type select disk * (* represents the number of your write protected SanDisk memory card) and press Enter. Type attributes disk clear readonly and clicks Enter to remove the write protection on the SanDisk memory card. Disconnect and reconnect the USB cable to a computer, making sure the USB digital cable works. Disconnect and restart the computer, resetting the connection. Install available drivers. You can go to the SanDisk official site to check out whether there are some drives available. If there are, please install them on your computer according to your SanDisk models. It keeps asking you to format the SanDisk SD card on your camera or on your computer while connected to the computer. To solve the problem, you’d better format the SanDisk memory card as asked. Formatting the SanDisk SD card will cause the data loss, but don't worry. We will provide you with professional SD card repair tool or unformat SD card software to help you completely retrieve them. If the message "operation failure" appear during the formatting process, you need to cancel the formatting first. After then, click on the Start Button on your computer > then click My Computer/Computer, and click on the SanDisk memory card. If you can access the SanDisk, then you can format it properly. If the message still appears, it means your card reader or USB does not function properly. Try to use a different USB port on the PC to connect the SanDisk memory card. 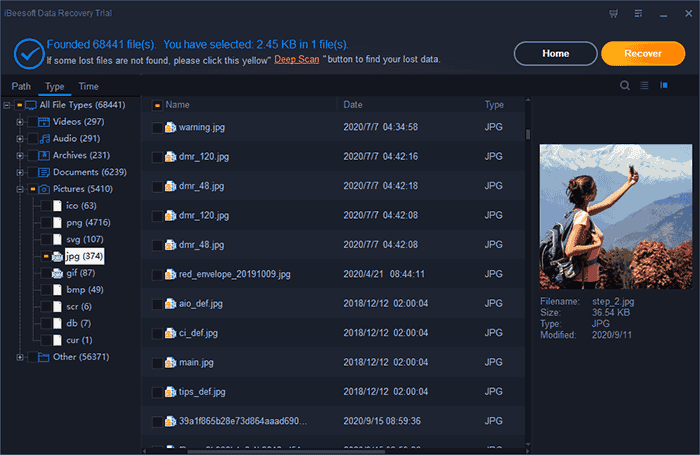 Files become thumbnails, you can’t view the real file or the files hidden. You can access photos and videos on your SanDisk memory card on the computer, while you connect it to the computer, all files missing or you can only see the thumbnails. If it happens, it means your SanDisk memory card is infected with the virus. In this case, you need to format the memory card. When the formatting is complete, you can use SanDisk format tool to recover files from formatted SanDisk drive. All the above mentioned 4 main SanDisk drives repair way may cause data loss. In this case, before you try to repair SanDisk SD Card/USB/HDD/SSD, please backup the data in SanDisk drive. If you can’t back up it, then you can try a reliable SanDisk repair tool - iBeesoft Data Recovery to recover the deleted, lost or formatted data from SanDisk. iBeesoft Data Recovery is a great Windows and Mac data recovery tool for people to recover lost or deleted data from the computer and external drive, like SanDisk memory SD card, pen drive, USB drive, hard drive and SSD. It supports 500+ file types, like word, excel, powerpoint, PDF, photo, music, video, archive, email and more. It can recovers data from SanDisk memory SD card/USB/HDD/SSD due to accidental deletion, formatted, SanDisk crash, displays as RAW, virus attack etc. The SanDisk repair tool or SanDisk format tool supported recover file from SanDisk drives under Windows 10/7/8/XP/Vista or Mac OS X 10.6 and later. 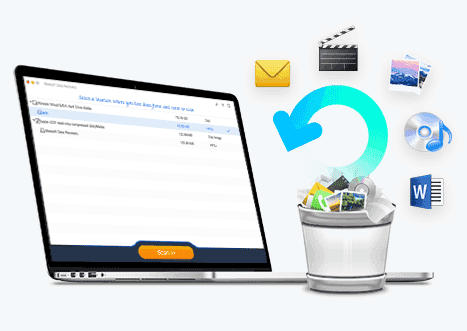 You need to download and install the iBeesoft Data Recovery on your computer to perform SanDisk recovery, either on Mac or Windows PC. It has separate version for Windows PC and Mac. Just click the download button to get the SanDisk tool installation package. Use a card-reader or USB to connect SanDisk to your computer firmly. If connected successfully, the SanDisk memory SD card/USB/HDD/SSD will appear like an external hard drive on your computer. All the supported files are listed in the main window after you launch the SanDisk repair tool. Please uncheck the unwanted file types and click "Start" to do SD card/USB/HDD/SSD data repair. In the next windows, you’re supposed to select the SanDisk memory SD card/USB/HDD/SSD to scan. If you have connected it successfully with your computer, the SanDisk repair tool will detect and display it in the window. And then, click "Scan" to recover SanDisk drive files. It only takes a few minutes for the SanDisk repair tool to scan for the lost or formatted data from SanDisk memory SD card/USB/HDD/SSD. After then, you can see all the found files are listed in the result window. 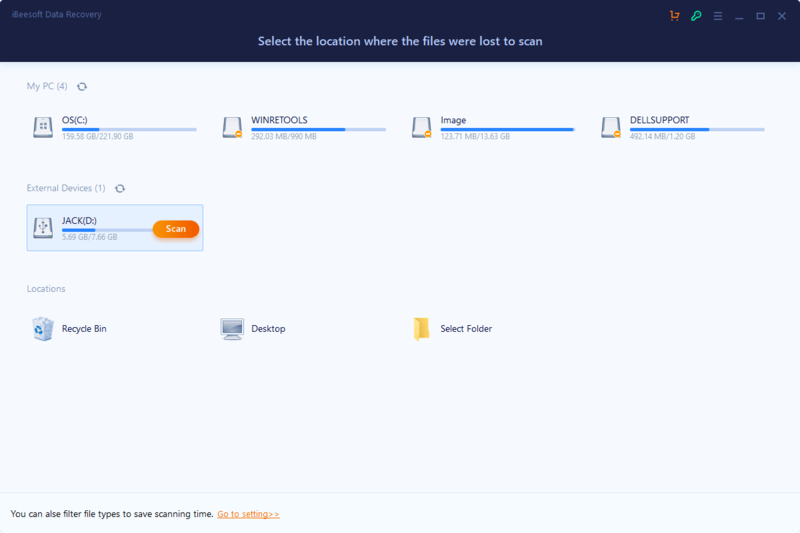 You can select the files, preview them and recover files selectively by clicking "Recover".